On June 21, the Supreme Court issued a ruling that overturned a 26 year-old precedent and will impose a costly compliance burden on numerous businesses that sell goods online. The Court’s 5-4 decision in South Dakota v. Wayfair held that states may require online retailers to collect sales taxes on internet purchases—even if the retailer does not have a physical presence, such as a factory, office or store, in the state. As a result, countless businesses may now need to keep track of the varying sales tax rates and rules among the nation’s more than 10,000 jurisdictions, and collect and remit such taxes for online sales. The Wayfair decision reverses Quill v. North Dakota, which the Supreme Court decided in 1992—before the explosion of e-commerce. In Quill, the Court held that a state’s taxing authority did not extend to businesses that had no physical presence within the state, so it would be unconstitutional to require out-of-state sellers to collect and remit sales taxes. However, as online shopping has surged in popularity, it has become increasingly common for businesses to make hundreds of thousands of dollars in sales to customers located in states to which they have no physical nexus. 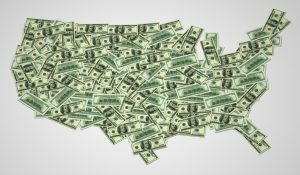 As a result, states have been unable to collect up to $13.4 billion per year in sales tax revenue, according to a study by the Government Accounting Office. In addition, traditional brick-and-mortar stores have complained that it is unfair that they are required to collect sales tax, while their customers can often purchase the same products from online retailers and avoid such taxes. The Wayfair case arose when South Dakota violated Quill by enacting a law that required businesses, regardless of their location, to collect and remit sales taxes if they made $100,000 or more in sales or at least 200 transactions per year to South Dakota residents. In essence, South Dakota’s law mandated sales tax collection for businesses with merely an economic nexus to the state, rather than a physical presence. By the time the case reached the Supreme Court, South Dakota had been joined by 41 other states, as well as brick-and-mortar retailers seeking a more level playing field. The Court agreed with their argument that Quill’s physical presence requirement no longer applies in the age of online shopping, and noted that South Dakota’s law does not unduly burden interstate commerce. However, the Court indicated that more complex or far-reaching state sales tax laws may be problematic. With states now having the freedom to tax all online transactions, businesses must stay tuned for new sales tax legislation in each state where they sell goods. Several states have passed “economic nexus” laws similar to South Dakota’s; in some states, these laws may have already taken effect, while other states will need several months to establish systems for taxing remote sales. In addition, Congress may step in to create a national framework for state taxation of online sales—some businesses, as well as the dissent in Wayfair, have advocated for this solution. Hawaii. Hawaii passed Act 41, which states that a person or business will be subject to Hawaii’s general excise tax (GET) if, in the current or preceding calendar year, they have gross income of $100,000 or more in sales, or they have entered into 200 or more separate transactions in Hawaii. Act 41 went into effect on July 1, 2018 and will not be applied retroactively. Idaho. The Idaho State Tax Commission announced that although it is still awaiting possible Congressional action, it has implemented House Bill 578. Effective July 1, this new law requires out-of-state retailers to collect sales tax on sales to Idaho customers—but only if they have an agreement with an Idaho retailer to refer customers to the out-of-state retailer for a commission, and their sales to customers in Idaho exceeded $10,000 in the previous year. Iowa. In May 2018, Iowa Governor Kim Reynolds signed Senate File 2417, which includes provisions identical to the South Dakota law. Specifically, it requires out-of-state retailers to collect Iowa sales tax if they have $100,000 or more in sales or make 200 or more transactions within the state. Senate File 2417 also requires marketplaces with multiple sellers to collect sales tax. This new law will take effect on January 1, 2019 and will not apply retroactively. Maryland . Although Maryland has not yet enacted a law governing sales tax collection for out-of-state businesses, the State Comptroller has issued a tax alert stating that it will collect sales tax as broadly as it is permitted to do so under the Constitution. The Comptroller’s office will provide additional guidance as further developments occur following Wayfair. North Dakota. On October 1, 2018, North Dakota will begin requiring out-of-state sellers to collect sales tax—unless they meet the same $100,000 or 200 transaction small seller exception that has been adopted by South Dakota and other states. Wisconsin. The Wisconsin Department of Revenue issued a Statement of Scope declaring that it will begin collecting sales tax from out-of-state sellers in accordance with Wayfair on October 1, 2018. Wisconsin will also follow South Dakota’s small seller exception. What does the Wayfair decision mean for businesses that sell goods and/or provide taxable services from out of state? As businesses await state and/or Congressional action on this issue, now is the time to act to determine what impact this decision may have on your business. The first thing that you or your clients should consider is a nexus review. By conducting a review of the company’s tax footprint, a nexus review will help to determine whether your business has past, present, and potential future exposure. At CRG, our reviews often identify past sales tax collection responsibilities where a company exceeded the scope of the previous Constitutional protections. These amounts could be significant and there is generally no statute of limitations for non-filed returns. In addition, an online service and/or software may be subject to sales tax in another state even if it is not taxable in the home state. A company may also have additional income filing requirements. Once completed, a plan can be tailored to mitigate past, present, and future liabilities. One solution may be to enter into binding agreements with states to limit look-back periods and eliminate penalties and interest. Amnesty programs may also be an option if there are prior unpaid tax liabilities. Options for future filings can also be addressed as a result of the nexus review. For example, the team at CRG can help you implement systems and processes to monitor the number and dollar value of transactions made in each state. This will allow you to determine whether you must collect sales taxes in states with economic nexus laws similar to the one passed in South Dakota. We will also guide you in understanding and abiding by the tax rates, exemptions, and any special rules that may apply in states where you or your clients make sales. At CRG, we are experienced in helping businesses in a variety of industries understand the complex sales tax systems to which they are subject and ensure that they collect and remit accurate amounts. Contact CRG today to learn more. (Sources: http://www.cpapracticeadvisor.com/news/12417886/us-supreme-court-rules-in-favor-of-south-dakota-in-wayfair-sales-tax-case, https://www.practicalecommerce.com/sales-tax-expert-impact-supreme-courts-wayfair-decision, https://www.accountexnetwork.com/blog/2018/06/change-is-in-the-air-preparing-for-south-dakota-v-wayfair/, https://www.forbes.com/sites/greatspeculations/2018/06/26/dissecting-supreme-courts-internet-sales-tax-decision/#fbcd8053fbee).